Cancel All Your Weekend Plans As Nagpur Is Having Its First Marathi Stand-Up Show! The secret comic for the event is a popular face of Marathi theatre and film industry. Dussehra is over, Diwali came and went by and now November is here and so is the winter. Well, almost. And winter is known to bring with it a gloomy kind of an atmosphere. Some of us are already in that dull mood. But we say, why start your winter on a dull note? For all those of you who are clueless about their weekend plans, worry no more, we’ve got it all covered for you! I know you must be thinking,“Enough of beating around the bush, come to the point already!” So, here we go. 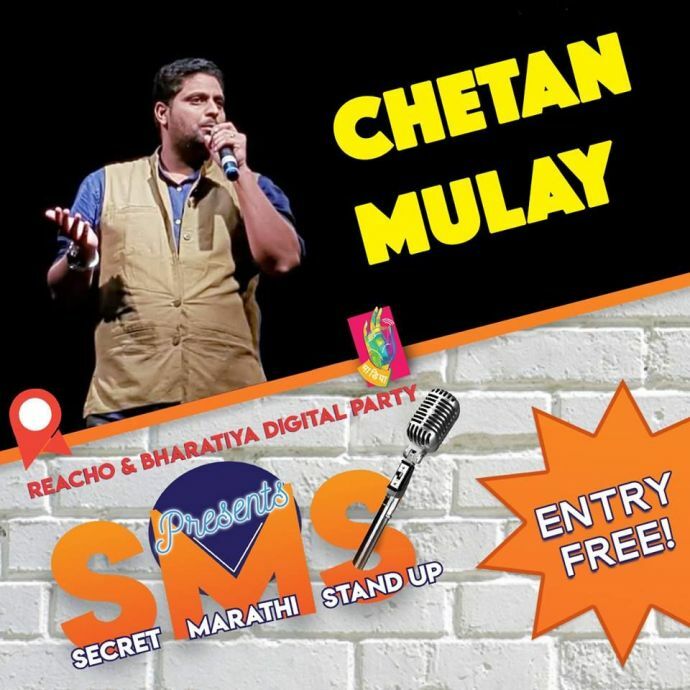 The well known Marathi stand-up comedy group Bharatiya Digital Party or Bha Di Pa, as they are commonly known, are having their first show in Nagpur this weekend. Yes, you read it right, a Marathi stand-up show. For those of you who are thinking, there’s no such thing like “Marathi stand-up”, let me tell you, Marathi stand-up dates back to the 1970s, when Pu La Deshpande made audiences laugh their guts out with his readings of Batatyachi Chal. However, like all other trends, this too, faded away slowly. But, as history repeats itself, this trend too, is coming back to life. With comedians like Russell Peters and Vir Das, stand-up comedy is getting more and more popular around the country. So how can this trend not affect the Marathi language? This bunch of young, non-political, undemocratic and politically incorrect guys is all set to take Nagpur on a rollercoaster ride of entertainment and laughter. With an intention to revive the good old Marathi standup culture, the orange city will experience its first ever Marathi stand-up comedy show on 4th November 2017 at Kavi Kulguru Kalidas Auditorium, Persistent Systems, IT Park from 7 pm to 9 pm. The lineup for this event includes comics like Omkar Rege, Aditya Desai, Gaurav Pawar, Chetan Mulay, Darpan, Divya and Sarang Sathaye. Sathaye is a well known Marathi theatre and film personality who has worked on projects like TVF Tripling and Ubuntu. 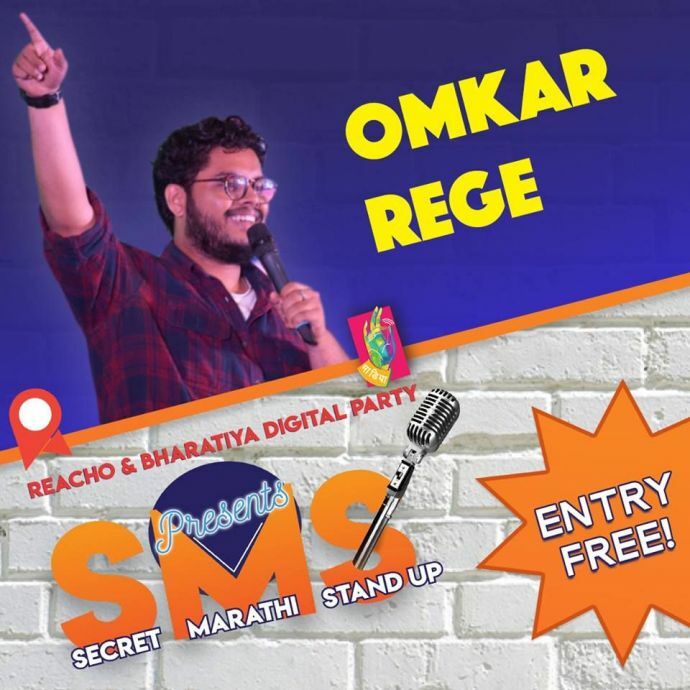 You must be wondering though, why Secret Marathi Stand-Up? What is this big secret? 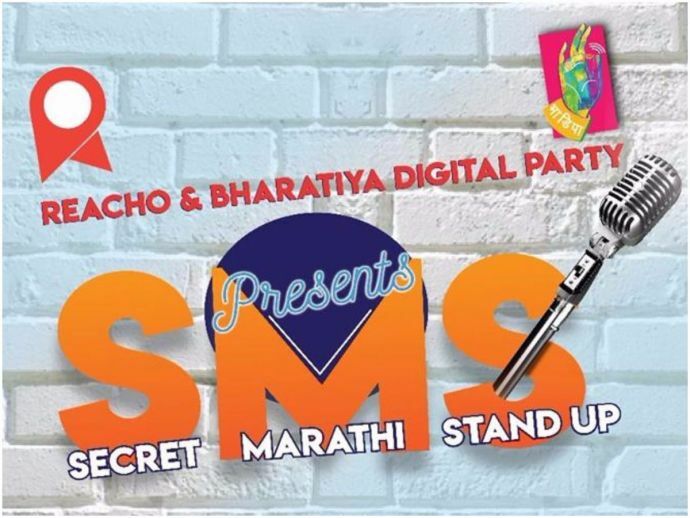 Well, the event is called Secret Marathi Stand Up because one of the comics from the line-up will be kept secret, until the very end. Here’s a little secret, the secret comic for the event is a popular face of Marathi theatre and film industry. Who? Don’t ask us, we don’t know either! With a great line-up and a little surprise element, Bha Di Pa’s Secret Marathi Stand-Up is an event to look forward to this Saturday! See you there! K Bye!